Today is a challenge day on the Whimsy inspires blog , the theme is back to school. 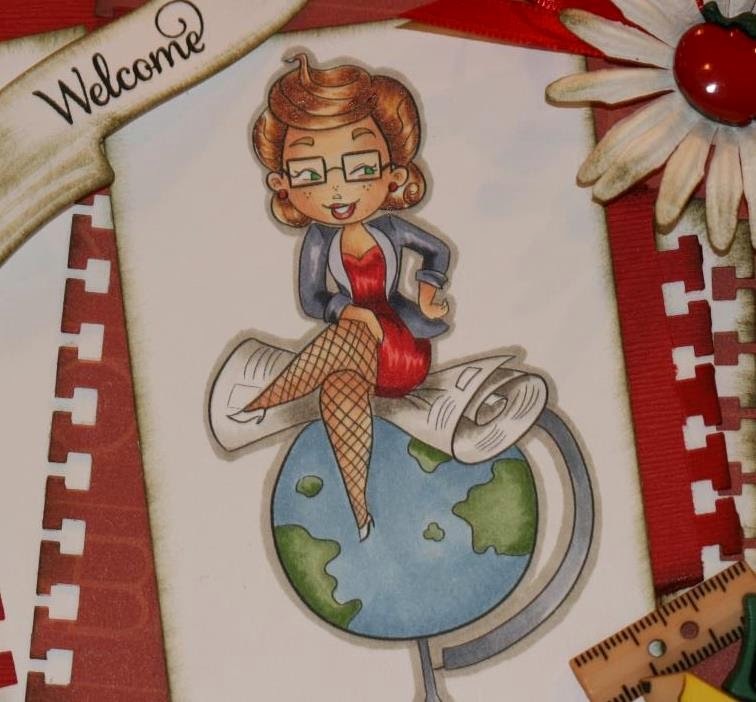 So I created a card using a great image from Lia Stampz called News Girl from Whimsy Stamps. I guess this card can be used for a lot of different themed cards like, getting a new job, telling someone some news or the one I used is back to school. She kind of looks like she could be a history teacher ready to give you some current events. I think about going back to school and it makes me think that summer is going to turn into fall. I want summer to last a lot longer for sure. The weather here has been amazing to say the least but I guess the kids don't go back to school till the beginning of September so it's a few weeks away. The gardens are still growing and the flowers are still blooming so till school starts I have to stay in summer mode. I hope to see you create a back to school masterpiece and enter our challenge this month to win some amazing images from Whimsy Stamps. A bit closer with my coloring. Have a fantastic day and create something. Great layout, and I love the details, with the apple and ruler....awesome colors and fun image...Great job, enjoy the rest of your summer. TFS!